Bright and spacious SOUTH FACING unit in a quiet CONCRETE building! 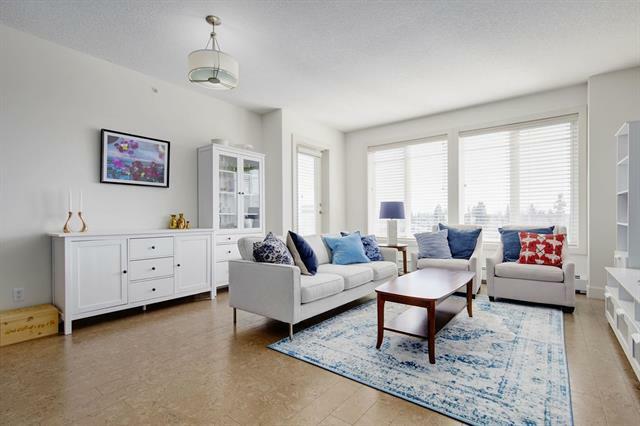 Located right in the heart of Marda Loop, this CORNER unit welcomes you with an abundance of natural sunlight throughout and offers a ton of privacy on your corner patio. 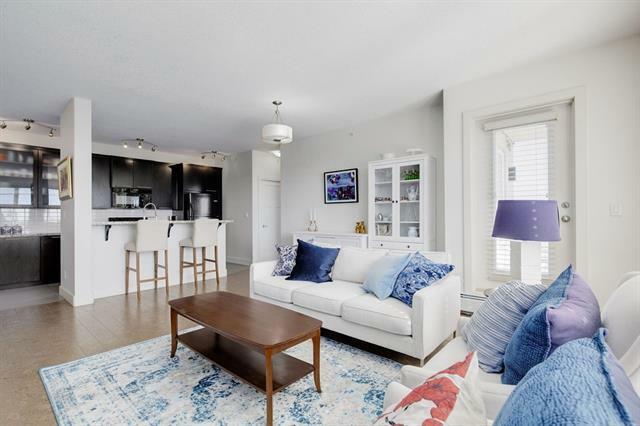 The open concept kitchen is perfect for entertaining with its large walk around island & eating bar, featuring granite counter-tops, ample cupboard space, & a generously sized walk-in pantry. Very functional floor plan with two bedrooms separated by the spacious living room for added privacy! The large master bedroom features its own walk-in closet and 4-piece ensuite. 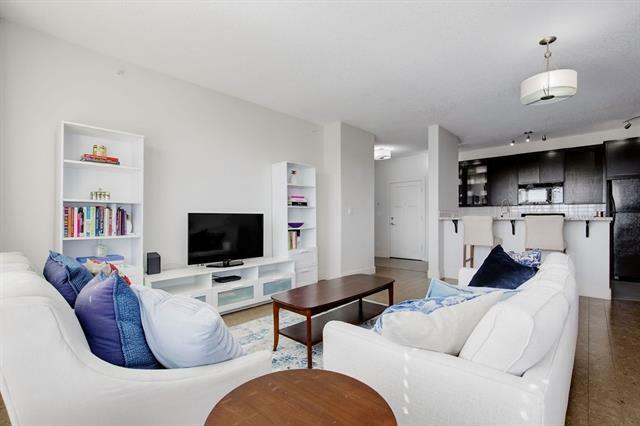 Featuring in-suite laundry and 9 ft. ceilings throughout. One underground titled parking stall, underground secured storage locker, and bike storage area included, in addition to 7 underground guest parking stalls. 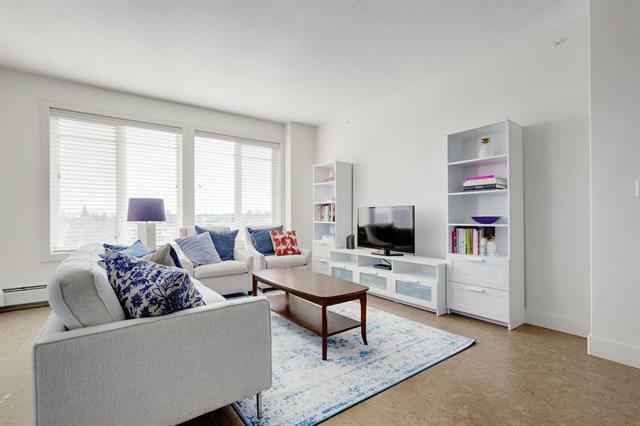 Located just steps to coffee shops, restaurants, & fitness studios, this is one of the best locations in Marda Loop you dont want to miss!